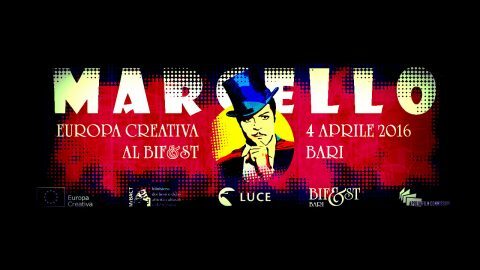 Creative Europe back to Bif & st – Bari International Film Festival. The event is scheduled for April 4 from 9:30 to 13:30 at the Conference Room of the Chamber of Commerce, Bari , with the Office of Culture and the Office of Media Bari Creative Europe Desk Italy – MiBACT , for a workshop on the audience development . Introduce the work Leila Nista , Coordinating Body of the Creative Europe Desk Italy – MiBACT , Enrico Buffalo , Project Manager of Creative Europe Desk Italy – Offices MEDIA – Istituto Luce – Cinecittà and Maurizio Sciarra , President of Apulia Film Commission . The audience development is a challenge for Creative Europe and an opportunity for rebirth Europe in terms of accessibility and democratization of culture . Create the strategies for cultural participation takes time and expertise. 1.Europa Creative and audience development: the Sub-Culture Program and Sub-program MEDIA. They will talk about Marzia Holy Man of the Creative Europe Desk Italy – Office of Culture and Andrea Coluccia – Creative Europe Desk Italy – Media Office Bari. The audience development for Creative Europe is both a response to the fragmentation of cultural markets, creating linguistic and national barriers to the circulation of cultural and audiovisual products, both a strategy to create new forms of public involvement and, above all, non-public, also through the digital. In Sub-Culture there was a real paradigm shift: the projects, compared to the previous programming should cover both the supply (mobility / visibility works and cultural workers) that the cultural demand. In addition, the MEDIA Sub-program, was launched, for the first time, a new funding scheme, called “Audience Development”, which includes two actions: Film Literacy and Audience development events. 2.Europa Creative and audience development: in search of a strategy. Three interventions that will inspire discussion. Paolo Verri, Director of Matera 2019 Foundation, will speak audience development in the draft Matera, European Capital of Culture 2019. This will be followed Alessandro Bollo, the Fitzcarraldo Foundation, who will present the study on the audience development “How to place audiences at the center of Cultural Organisations “. In 2015, the European Commission, through strand cross-sectoral Creative Europe, he has launched a tender to develop effective approaches and methods on the AD to spread between European cultural organizations. Fitzcarraldo has won the tender and is leader of the project. Among the partners are Eccom – Ideas for Culture, Culture Action Europe and Intercult. And, finally, David Baruzzi BAM! Cultural strategies will usher in digital engagement framework, a tool designed by Jasper Viesser (Inspired by Coffee) and Jim Richardson (Sumo): The digital offering incredible opportunities to the cultural and creative sector and to create a link with the public and accomplish its mission. “Yes, there are serious challenges, but an institution that strategically embraces digital revolution, it will get better. The world has changed and it is time to change with it. “(Jasper Visser & Jim Richardson). 3.Europa Creative and audience development: the word in the projects financed. Three interventions to find out which forms have on the audience development projects financed by SubProgram Culture and the Under – MEDIA . Léna Rouxel , the Institut Francais , will present the CinEd project ( Media – Audience Development ) , which offers a literacy program film for the young European audience . Alessandra Ferraro of the Cultural Margin Operational , will continue with Contact Zones – Performing Arts in Urban Space ( Culture of -Projects Cooperation ) , a project that creates contacts and interactions between the performing arts , urban spaces / places unconventional and people . And finally , Federico Spoletti FRED Film Radio with FRED at project School ( MEDIA – Audience Development ) , which uses the radio in a new way and challenging to develop knowledge of European cinema , involve and train the next generation of viewers . The Creative Europe Desk Italian is the official Italian Desk in the Creative Europe Programme . coordinated by Ministry of Heritage and Culture and Tourism in cooperation with Istituto Luce Cinecittà LTD , makes part of the network of Creative Europe Desks , appointed and co-financed by the European Commission . The net the Creative Europe Desks has been created by the European Commission to provide free technical support potential beneficiaries of Creative Europe and to promote the program in each participating country . In Italy the Creative Europe Desk is born from the long experience of the former Cultural Contact Point Italy and former Offices MEDIA Desk Italy and Antenna MEDIA and is formed by CULTURE , head of Subprogram Culture , MEDIA and by the Offices of Rome , Turin and Bari , responsible for subprogram MEDIA. Bif&st – Bari International Film Festival is sponsored by the Puglia Region , produced by the Apulia Film Commissions and created and directed by Felice Laudadio . The 2016 edition will be held 2 to 9 April 2016, and will dedicated to Marcello Mastroianni – 20 years after his death – and Ettore Scola former president of Festival , and will be fundamentally oriented , in its various components , to illustrate the art , talent, work of the actors and actresses . The event is free and is open to all operators in the cultural and audiovisual sector. Full programme of the event here.